My hearty dandavat pranama at the lotus feet of my spiritual master, nitya-lila pravista om visnupada Sri Srimad Bhakti Prajnana Kesava Gosvami Maharaja, my entire guru-paramapara, and my siksa-guru, nitya-lila-pravista om visnupada Sri Srimad Bhaktivedanta Svami Maharaja. Today we are going to observe guru-puja, or Vyasa-puja. First of all we should know what is guru-puja and what is Vyasa-puja. Both are the same. Sri Krsna Dvaipayana Vedavyasa divided the one Veda into four. Then to reconcile, because it was difficult to extract the essence of the four Vedas, he wrote Brahma-Sutra (Vedanta-sutra). Vedavyasa explained that the essence of the meaning of the brahma-gayatri comes from omkara. Gayatri is feminine gender. Who is Gayatri? We hear that she is the wife of Brahma, but you should know what has been told in the gayatri-mantra: “bhargo devasya dhimahi”. Sri Sri Radha and Krishna in the spiritual World. Bharga means ‘power;’ that is, hladini-sakti, or mahabhava-svarupa (Radhika). 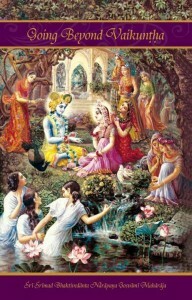 The supreme reservoir of krsna-prema is Radhika. We learn that Gayatri is the wife of Brahma, but who is she actually? She is a gopi. Krsna had told Yogamaya, “Somehow, try to give this gopi to Brahma; otherwise she cannot be parakiya (My paramour beloved).” All the gopis are married to other gopas. Krsna therefore ordered Yogamaya to also arrange this for Gayatri-devi, so that her love and relationship with Krsna could be parakiya. This is why Gayatri was given to Brahma in marriage. From the beginning she had no love for Brahma; she loved only Krsna. Parakiya mood is the topmost mood, and Gayatri became the maid-servant of Radhika by that mood. We see that the essence of all the Vedic literatures is Gayatri. Gayatri is Radhika, or Her maid-servant, and that mood may come to anyone who serves this mantra. This is a special truth. My heart told me that I should tell you this secret truth about Gayatri. This is a secret; I never told this before. The meaning of the gayatri-mantra has been clearly revealed by Srila Vyasadeva in the first verse of Srimad-Bhagavatam. Had he not come to this world, ‘everything would have been nothing.’ He revealed this gayatri-mantra, as well as the catur-sloki of Srimad-Bhagavatam and its explanation, and he especially revealed the highest love of the mahabhava of Srimati Radhika. 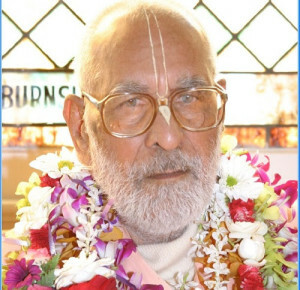 He revealed the meaning of Srimad-Bhagavatam, he manifested all Puranas and especially the Mahabharata, and the essence of all these scriptures is the same. 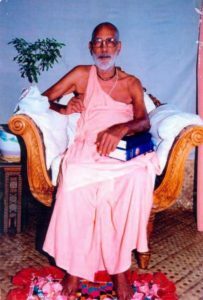 Srila Vyasadeva first taught his four disciples – Jaimini, Vaisampayana, Paila, and Angira – and he especially taught his dearest one, Srila Sukadeva Gosvami. Sukadeva Gosvami was not only his son, but also his dear-most disciple. Srila Vyasadeva manifested all his knowledge in the heart of Srila Sukadeva Gosvami, who then preached it everywhere. All acaryas, and also their disciples, in our entire guru-parampara, are so much indebted to those who are in the line of Srila Vyasadeva. It is essential, therefore, to know the meaning of Vyasa. Suppose there is a circle. If from any point of the circumference a straight line is drawn, passing through the center to the other end, this is called Vyasa (diameter). The diameter is always straight and covers all 360 degrees of the circle. It always divides the circle in half, making it 180 degrees. This is Vyasa. In other words, this is the mantra for worshipping Vyasa, who is the origin of Vyasa-puja. We first offer pranama to Narayana, who is Krsna Himself: “Narayanam namaskrtya.” Then,”naram caiva.” Some say that in this connection naram ca means Arjuna, and there is no harm in that* [see endnote1], but generally it means Nara-Narayana Rsi here. Then, “devim sarasvatim,” who is Sarasvati Devi. “Vyasam, tato jayam udirayet” means ‘and then to Srila Vyasadeva.’ By offering pranama in this way, one can then read or explain Mahabharata, Srimad-Bhagavatam, Vedanta-sutra, and all the Puranas. This mantra has been given in Srimad Bhagavatam, the Puranas, Mahabharata, and elsewhere. Today is guru-puja. A disciple can observe this day in honor of any acarya, but it is especially for those following the footsteps of Srila Vyasadeva. It is especially for those who are preaching the glories of Radha-Krsna and pure bhakti everywhere. On that guru’s birthday, he performs the puja of Srila Vyasadeva, vyasa-pancaka, krsna-pancaka, panca-tattva, acarya-tattva, guru-parampara-tattva, and so on. By worship of these seven pancakas, one worships his entire guru-parampara from top to bottom. By serving and performing puja of Krsna, everything is completed – tasmin tuste jagat tusta; yet, we will have to give proper respect to all the acaryas, especially the rupanuga-acaryas. You are saying that today is my birthday; but I do not think it is my birthday. 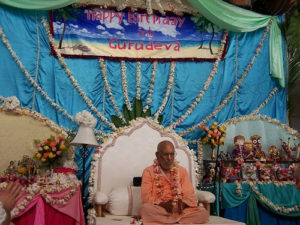 My birthday is on Gaura Purnima, the day my Gurudeva gave me transcendental birth. Still you tell me, and the people of this world think so also, that my birthday is today. 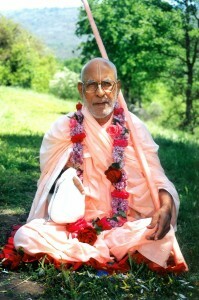 We observe Vyasa-puja on this worldly birthday [this is Srila Gurudeva’s humility, because the appearance day, or birth day of the bona fide acarya, Sri Krsna’s associate, is fully transcendental] but our real birth is that transcendental birth, which has been given by our guru – our father – and our mother is actually mantra. You should think like this. On his own birthday, a guru, acarya, or disciple offers puja – to please his Gurudeva. What is the meaning of krsna-anukula? Who is the Krsna referred to here? He is asraya-vigraha. He is Krsna, but asraya Krsna. In other words, he is Sri Gurudeva. Through him we can gradually reach the lotus feet of Krsna, Hari, as visaya Krsna. This is the proper channel through which to worship Radha and Krsna or Sri Caitanya Mahaprabhu. If one can please his Gurudeva, not only externally but internally as well, then Vyasa-puja is truly observed. We should try to realize the internal ways in which Gurudeva pleases his Gurudeva. Srila Bhakti Prajnana Kesava Gosvami Maharaja. 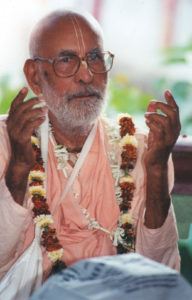 Spiritual master of Srila Narayana Maharaja. but whose glory is this? I was not a learned person, and I was very insignificant. I know that I had no qualification at all; I was fully ignorant. However, by touching Gurudeva’s lotus feet and by hearing his hari-katha, I received from him all the various kinds of knowledge that I am giving to the world. I am not giving it; they are inspiring me, and it is by their mercy that I am doing something. When I remember this, I become overwhelmed. How glorious is his mercy! If one does not touch the real glory of his Gurudeva and serve him totally, how can he please him? Gurudeva is sarva-bhuta-sthitam (situated in everyone’s heart), like Krsna. Krsna is everywhere, and similarly you can never hide anything from your Gurudeva. You want to hide so many things, like your lust and worldly desires, but Gurudeva knows even more than Krsna, because he is so near to Krsna. You cannot cheat him. If you try to cheat him you will be cheating yourself – so do not try to do so. Reveal your heart to the lotus feet of your Gurudeva. Then you can know how to please him. Parama-pujyapada Srila Bhaktivedanta Svami Maharaja knew and followed the order of his Gurudeva, and he preached that mission throughout the world. He has gone everywhere in the world – in jungles, in the midst of oceans, on the top of mountains, and in dangerous places like the middle of swamps (Alachua, Florida). I went to many paces, like Saranagati and Gita Nagari, and everywhere I saw his glory. I think also that this was the glory of Srila Bhaktisiddhanta Sarasvati Gosvami Prabhupada and Srila Bhaktivinoda Thakura. If they had not ordered and inspired him, and if my gurudeva had not given him sannyasa, from where would these qualities have come? * [see endnote 2] Some want to establish him as the adi-guru and last Guru, thinking that before him there were no bona fide Gurus and after him there will be no bona fide Gurus. This is a bogus idea, and an offense in his lotus feet. Srila Bhaktivedanta Svami Maharaja never said or wrote this. He showed great honor for our guru-parampara, and especially to the rupanuga-acaryas in our line. He has not done anything independently. 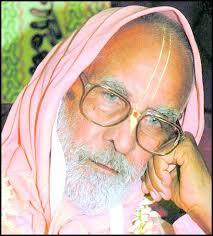 He has written the translation of Sri Caitanya-Caritamrta and Srimad-Bhagavatam, and he has glorified Krsna. He has done nothing new; he has given the same wine in a new bottle, just as all our previous acaryas have done. The first wine was given by Srila Vyasadeva; this credit goes to him. He is Narayana; otherwise he could not have done this. On this day, a disciple or acarya bows down at the lotus feet of Sri Gurudeva, from where he has obtained all kinds of knowledge. You should especially know that tattva-jnana, knowledge of established philosophical truths, is not sufficient. From where will the mood to weep, as the gopis used to weep, come? Srimati Radhika is always weeping, intoxicated in krsna-prema. Krsna laments and suffers for Her, but He does not become so maddened. 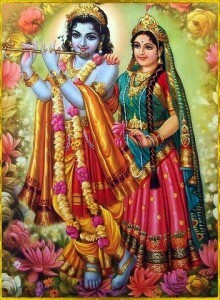 There are many manifestations of Radha dancing with Krsna, but for Radhika there is only one Krsna. Vyasadeva is himself Narayana, and he has revealed all this. Perform guru-parampara puja, beginning from your gurudeva, then to the rupanuga guru-varga, and so on. 1) guru-pancaka (Sri Guru, Parama-guru, Paramesthi-guru, Paratpara-guru, Paramaparatpara-guru); 2) acarya-pancaka (Sri Sukadeva, Ramanuja, Madhva, Visnusvami, Nimbaditya); 3) vyasa-pancaka (Sri Vedavyasa, Paila, Vaisampayana, Jaimini, Sumanta); 4) sanakadi-pancaka (Sri Sanaka, Sanatkumara, Sanatana, Sanandana, Visvaksena); 5) krsna-pancaka (Sri Krsna, Vasudeva, Sankarsana, Pradyumna, Aniruddha); 6) upasya-pancaka (Sri Radhika, Krsna, Gaura, Gadadhara, Sri Gurudeva); and 7) panca-tattva (Sri Krsna Caitanya, Nityananda, Advaita Acarya, Gadadhara, Srivasa). So I want to perform my guru-puja, or Vyasa-puja. We have not learned that we should collect abundant puspanjali from our disciples. A Guru’s first duty is to worship his Gurudeva and guru-parampara, as well as the seven pancakas. You should know this and try to follow it. It is not that the guru makes a big “Vyasa-puja” book, glorifying himself, and takes all the money and presentations for himself. This is an offense. It is essential to know all these truths. We are not going to follow new, modern devotees of here and there. 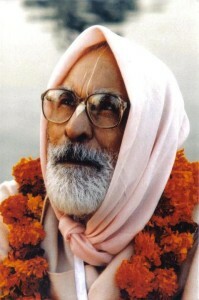 We want to follow the line of Srila Prabhupada Bhaktisiddhanta Sarasvati Gosvami Thakura and others in our guru-parampara, like Parama-pujyapada Srila Bhaktivedanta Svami Maharaja. I want to follow in their footsteps. I want to first do guru-puja, then guru-parampara puja, and then to the others. If you want to make some offerings, I will take it and give to the lotus feet of my Gurudeva. I request one thing of you. Try to sincerely fulfill the desire of your Gurudeva. You will see that if you are sincere, all the Vedas, and all krsna-tattva, maya-tattva, guru-tattva, radha-tattva, and all other tattvas will enter your heart and you will be pure devotees. I am now offering all you have offered me – all your sraddha, honor, love and affection – unto the lotus feet of my Gurudeva and guru-parampara. This talk was followed by the worship ceremony. According to the principles of sanatana-dharma, guru-parampara comes from Krsna Himself. Real sanatana-dharma is also known as Vaisnava-dharma, Bhagavad-dharma and Vedic-dharma, and all of these are the same. So there is only one real sanatana-dharma. Sometimes there is a reflection, but real sanatana-dharma is one, and it is coming from Krsna Himself. Krsna inspired this dharma in the heart of Brahma, who inspired it in the heart of Narada Rsi. Narada inspired it in Vyasadeva, who inspired it in the heart of Sukadeva Gosvami, who inspired it in the heart of Suta Gosvami. Vyasadeva also inspired it in the heart of Sripad Madhvacarya. In Kali-yuga there are four sampradaya acaryas: Madhvacarya, Ramanujacarya, Vishnusvami and Nimbaditya. Among them, Vyasadeva manifested this dharma in the heart of Madhvacarya. In Madhvacarya’s disciplic order Madhavendra Puri appeared, and he is called the root of the desire tree of prema (love and devotion for Krsna). He inspired this dharma in the heart of Isvara Puripada, the spiritual master of Caitanya Mahaprabhu. 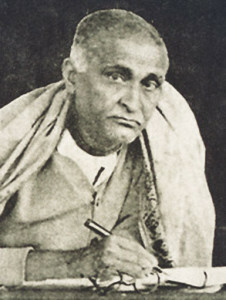 Then it descended from Caitanya Mahaprabhu to Svarupa Damodara, Raya Ramananda, Rupa Gosvami, Sanatana Gosvami, Krsna das Kaviraja Gosvami, Bhaktivinoda Thakura, jagat guru nitya lila pravistha om visnupada Sri Sri Bhaktisiddhanta Saraswati Gosvami Thakura, and our gurudeva, Srila Bhakti Prajnana Kesava Gosvami Maharaja, who gave sannyasa to Srila Bhaktivedanta Svami Maharaja. 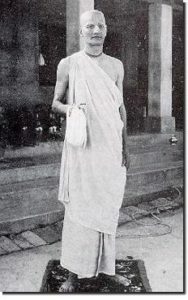 Srila Bhaktivedanta Svami Maharaja was a disciple of Srila Bhaktisiddhanta Sarasvati Gosvami, and he spread this sanatana-dharma throughout the world. This dharma continues to flourish as our sanatana-dharma family expands into millions of branches. A guru who preaches is a representative of Vyasadeva. What is the actual meaning of Vyasa? If a circle is drawn and divided into two half circles through a line connecting the center point and the circumference, this line (diameter) is called ardha-vyasa. Vyasa represents the whole, so ardha-vyasa represents the straight line which touches these points. Similarly, Srila Vyasadeva touched all the glories of the Supreme Personality of Godhead Sri Krsna, who is the center of existence, and brought those glories everywhere. Vyasadeva divided the Vedas into four parts: Rg Veda, Sama Veda, Yajur Veda and Atharva Veda. These Vedas, however, are very difficult to understand, so Vyasadeva mercifully made the teachings more simplified by writing the Puranas. The Puranas are condensed explanations of the Vedas. Without the Puranas, most people would not be able to understand these teachings. He then made the Puranas especially easy to understand by writing the Mahabharata. By this, those who usually do not understand can comprehend the teachings easily. These Vedic texts were created for all to read and understand. In the various scriptures Vyasadeva wrote many things, including how to worship various deities, such as Durga or Kali. In other scriptures he wrote how Ganesh should be worshiped. In another, he described not only worship of Sankara (Siva), but also Sri Krsna and Lord Rama. Why has he written this way? He has reconciled all this in the Srimad-Bhagavatam. Those who preach from the seat of Vyasadeva are manifestations of the original Vyasadeva. Baladeva Prabhu and Nityananda Prabhu are the manifestation of Krsna, and they manifest as the acaryas; so the worship of all the acaryas – beginning from Krsna to all acaryas – is called Vyasa-puja. If one flower is removed from a garland, that whole garland is rendered useless. All flowers in the garland are connected to the whole. Similarly, if we deny, disobey, or do not worship the gurus in our disciplic succession, then our guru-puja is rendered useless. So today, on this Vyasapuja day, the guru, who is on the seat of Vyasa, must worship his gurudeva and the whole guru parampara. If a guru, on his appearance day, accepts the worship of his disciples but does not worship his gurudeva, his guru-parampara, Krsna, Mahaprabhu and Ramacandra, then he is not a bona fide guru. He is simply taking flowers from his so-called disciples. Nowadays we see that many so-called gurus only accept money on their birthday. Many of these so-called gurus are not satisfied when sincere disciples offer flowers and their hearts. They are greedy for personal material gain. All bona fide gurus honor all god-brothers, all Vaisnavas, and especially worship their own gurudeva and the entire guru-parampara up to Krsna. Our Guru Maharaja used to worship Krsna-pancaka, Vyasa-pancaka, Acarya-pancaka, Panca-Tattva, Guru-pancaka, and so on. There are seven pancakas [See endnote 1]. We should know that any acarya, on his birthday, honors all Vaisnavas. 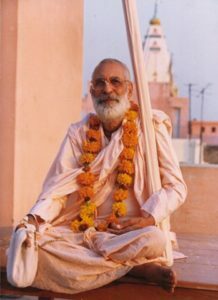 He will do guru-parampara puja all the way up to Krsna. This is the actual meaning of Vyasa-puja. However, it is not enough to just do arcana and offer garlands to the neck of Sri Krsna and our gurudeva. Real Vyasa-puja also includes explicitly obeying and following guru’s orders. 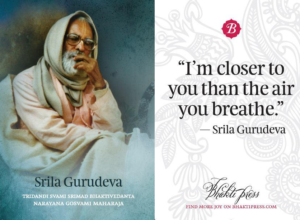 On this day, the guru sees whether or not the disciple is following the orders of his gurudeva in the line of the guru-parampara, Gita, Bhagavatam, Ramayana, and Vedanta. We should also know that some advanced devotees may not follow all the rules and regulations of sanatana-dharma. For example, Sukadeva Gosvami never wore a garland. He was naked. It has been written in scripture that one should not be naked in public, but Sukadeva Goswami used to do this. Should we think that he is not following sanatana-dharma? Never. He was at the highest stage of bhakti. He had neither bodily remembrance nor material conceptions of life. In addition, our sanatana-dharma says that we should not give up our wives, but Caitanya Mahaprabhu gave up His wife. Is that outside sanatana-dharma? 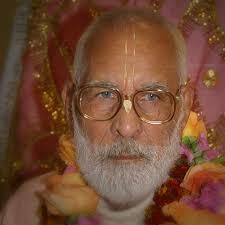 Sukadeva Gosvami also left his father and mother to serve Krsna totally. So, if a man (from any varna, caste, including brahmana, ksatriya, vaisya and even sudra) takes the renounced order of life (if he is genuinely qualified), there is no harm, even in Kali yuga. If one is on the highest platform, and he is offering pranama to Sri Ramacandra and all others, but he especially serves Radha and Krsna in his heart like Hanuman always serves Rama, that is called ananya-bhava, Is there any harm in that? Once, Tulsidasa (the author of Sri Rama-carita-manasa) went in front of the deity of Krsna and told Him that he would only offer pranam if Krsna would carry bow and arrows in His hand. At once Krsna took the form of Lord Rama holding His bow and arrows. When Hanuman went to Dvaraka and Krsna told Satyabhama, “I am going to become Rama and you will become Sita.” Satyabhama replied, “I cannot, I cannot.” Rukmini overheard this and said that she would become Sita; so Rukmini became Sita, and Krsna became Rama.Then Hanuman payed his obeisances. There is no harm in this. Mira sang, “Mere to Giridhar Gopal, dusaro na koi… Mere to Giridhar Gopal, dusaro na koi…” She left all shyness and consideration of the society’s criticism, and sang, “Giridhari Gopal is mine; no one else is mine.” Mere nainan me baso Nandlal. “May Krsna always reside in my eyes.” This one-pointed mood should be there. Today I have briefly explained all these truths. Now we will do puja of our guru-parampara. In India we use kalash, pitchers, and perform puja of the entire parampara and pancaka. I will do arati and you will sing some kirtana. Always try to honor all the Vaisnavas, especially Sri Guru. 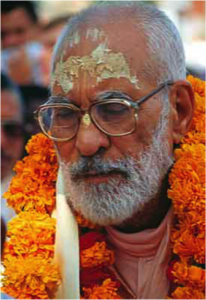 All Vaisnavas are really our gurus, but especially two gurus – diksa-guru and siksa-guru. There is no difference between these two. Sometimes diksa-guru may be more advanced and sometimes the siksa- guru may be more advanced. There is no harm; both are the same. Then we should honor those who are living in Vrndavana: Yasoda-maiya, Rohini-maiya, Krsna Kanhaiya, Dau Bhaiya, Nanda Baba, Baladeva Bhaiya, and after that Lalita, Visakha, and all the gopis, all the cowherd boys, cows, calves, all the inhabitants of Vrndavana, peacocks, and pehens, and all the birds. All are transcendental, sat-cid-ananda-tattva (eternal, full of unlimited bliss and full of unfathomable knowledge). And after that Sri Rupa Gosvami, Sanatana Gosvami, and all the Vaisnavas who are living in Vrndavana. We should also honor all the Vaisnava acaryas who are not in our guru-parampara but are in Vrndavana like the disciples of Sri Ramanujacaraya, Madhvacaraya Vishnu Svami, Ramananda, Nimbaditya, or Vallabhacarya and so on. We should honor them all. If you want to do bhajana, do not neglect anyone. Especially, have very high honor for the mantras your gurudeva has given. The term ‘mantra’ refers to gopal-mantra or any mantra that your guru has given. Do your mantra daily with due respect, with love and honor, in a proper manner, and in a proper way. Don’t forget this. If you do not have a guru, then at once accept a transcendental guru. The symptoms of a bona fide guru have been mentioned in the scriptures. Receive mantras from him and then chant those mantras. Then, ‘maha-mantra:’ Anyone can chant maha-mantra, the embodiment of Krsna. The names of Krsna and Rama are even more merciful than They are. This is available to all. There is no cost. 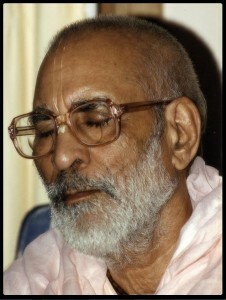 [“Thinking oneself to be even lower and more worthless than insignificant grass which has been trampled beneath everyone’s feet, being more tolerant than a tree, being prideless, and offering respect to all others according to their respective positions, one should continuously chant the holy name of Sri Hari.” (Sri Siksastakam, verse 3)]. tajyo pita Prahlad ,Vibhishana bandhu Bharat Mahatari . jaase hoya saneha Rama Pada aito mato humaro . Those who are very near and dear to us in our mundane relationships but who do not like Rama and Sita, Krsna and Srimati Radhika – we must give them up. They may be our son, our guru, our father and mother, our sister, our wife, our husband, or anyone – we must quickly give them up. Prahalad gave up his father because he was against Krsna. Bharat at once left his mother when she exiled Ramacandra. After that Bharat had no connections with his mother, nor affection for her. Bali Maharaja’s guru created many problems when Bali Maharaja was serving Vamanadeva, so he left him. Bali Maharaj said “I don’t need a guru like you. You are giving me trouble in my worship. I want to give everything to Vamanadeva, and you are telling that I should not give anything to Him. 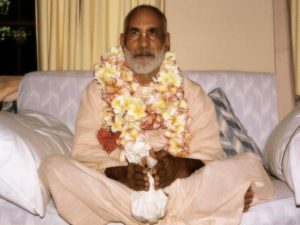 Those gurus who say that we should not go to see Vaisnavas, that we should not associate with them, that we should not listen to their hari-katha – those gurus are bogus. We must give them up. Vibhisana gave up his own brother Ravana. He used to have so much love and affection and honor for Ravana, but when Ravana brought Sita to Lanka and Vibhisana told him that he should return Sita to Ramacandra, Ravana rebuked him. So he left and went to Rama. The gopis at once gave up their husbands, who were causing them trouble in their worship of Sri Krsna. Mirabai herself, when she received the letter from Tulsidasa, she left at once. Her husband, father-in-law, and other family began to fall at her feet. They begged her to excuse them, but she told them, “It is too late. I cannot return now.” She then left for Vrndavana and Dvaraka where she entered the Deity of Dvarakadhisa. Dvarkadhisa mercifully accepted her. Follow the instructions of Sri Caitanya Mahaprabhu, especially the rules and regulations of Vaisnavism coming from Srila Rupa Gosvami and Sanatana Gosvami, and including what is written in Sri Caitanya-caritramrta. We must value all these instructions. Even for devotees who are kanishtha – if they are chanting and remembering Krsna and guru, if they are not offensive, then be very humble towards them; even if they are chanting less, no harm. In the last line he has mentioned the word ‘vah,’ not ‘me’. ‘Vah’ means all. He was not selfish. He was very magnanimous. He prayed for the entire world, “Alas Mahaprabhu, Alas Krsna, Alas Radhika, please be merciful towards the entire world.” This is the symptom of a true Vaishnava. I am not qualified to take all the things that have been offered to me today. I have taken all your offerings, and offered it at the lotus feet of my Gurudeva. He will give it to our guru-parampara, and gradually it will reach the lotus feet of Sri Caitanya Mahaprabhu, Sri Nityananda Prabhu, and Sri Sri Radha Krsna conjugal. I pray that They will be merciful to you. Be fixed in your aim and object to attain Krsna-prema. Always endeavor for this. Don’t hanker for money, reputation, or anything material. Don’t look to see if anyone has offended or insulted you. Understand that this is like an itch; don’t put your mind towards this. Instead, always be fixed at the lotus feet of our Lord. 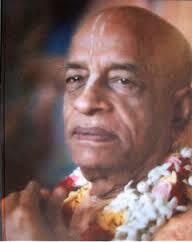 Be ideal Vaishnavas; so that anyone can see that this line is ideal Vaishnavism. This is part of your preaching. If you are not following all these things, then simply wearing neck beads and tilaka will not do. It will never do. Try to accept the Vaisnava principles in your heart, so that Sri Krsna will quickly be merciful. Gaur Premanandi Hari Hari Bol! Note 1: 1) guru-pancaka (Sri Guru, Parmaguru, Paramesthiguru, Paratparguru, Paramparatparguru); 2) acarya-pancaka (Sri Sukadeva, Ramanuja, Madhva, Visnusvami, Nimbaditya); 3) vyasa-pancaka (Sri Vedavyasa, Pail, Vaisampayana, Jaimini, Sumanta); 4) sanakadi-pancaka (Sri Sanak, Sanatkumara, Sanatana, Sanandana, Visvaksena); 5) krsna-pancaka (Sri Krsna, Vasudeva, Sankarsana, Pradyumna, Aniruddha); 6) upasya-pancaka (Sri Radhika, Krsna, Gaura, Gadadhara, Sri Gurudeva); and 7) panca-tattva (Sri Krsna Caitanya, Nityananda, Advaita Acarya, Gadadhara, Srivasa). To those who are sincerely devoted to serving Me with love, I give the understanding by which they can come to Me. In this verse, the word buddhi means the intelligence that gives Bhagavan. It is full of mercy. In one place, Visvanatha Cakravarti?hakura says, “O K?? ?a, You are very merciful. You said dadami buddhi-yogam. Please give me buddhi-yoga. And You may ask, ‘Which buddhi-yoga do you want? The buddhi-yoga that I gave to Arjuna?’ But I don’t desire that. For Arjuna it was all right. For those people who desire that variety of buddhi-yoga, it is all right. But to me please give that buddhi-yoga by which even You become bewildered and forget Yourself, in which You sport with the gopis, and by serving which one completely forgets himself. To become the servant of the gopis, to become lost in that service and forget everything else – I want that buddhi. For those who are serving You, having forgotten everything else and being intoxicated in that service, You are doing everything in the form of an ordinary human being. Be merciful and please inspire that buddhi-yoga within me. Such dhira?, steadiness, is what I desire. Give me that intelligence by which I can come to You in this way.” Visvanatha Cakravarti ?hakura has offered such a beautiful prayer to Bhagavan, and no one can offer a higher prayer than this.